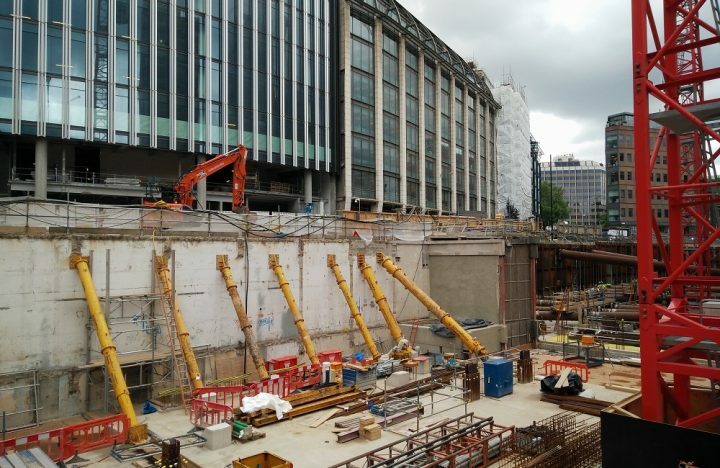 London Development Project is a new build multi-storey commercial building under construction in Central London. 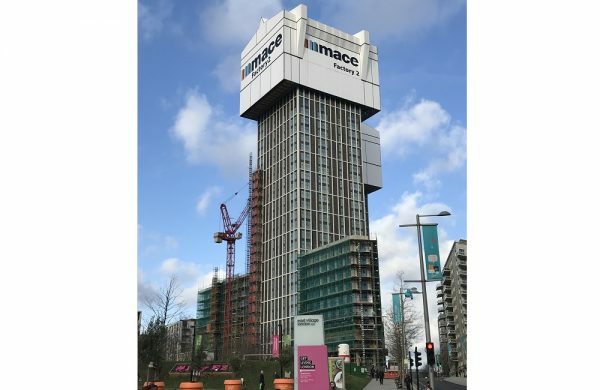 We have been working with Byrne Brother to develop efficient construction engineering solutions. The site is bounded by four streets and was previously occupied by two office buildings. 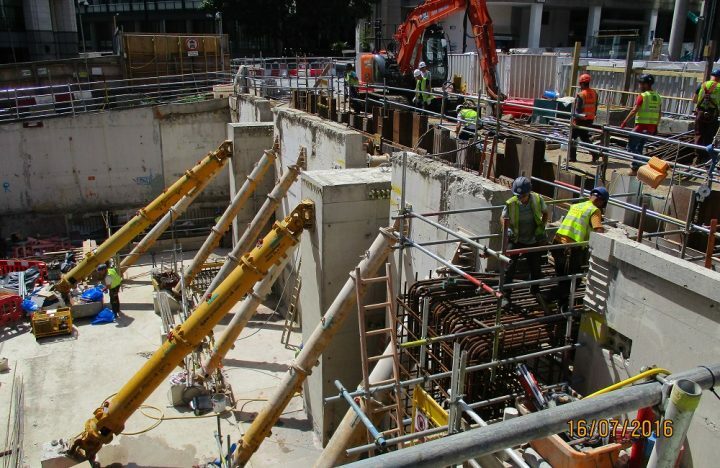 Works at this stage are focusing on the basement and ground floor levels. 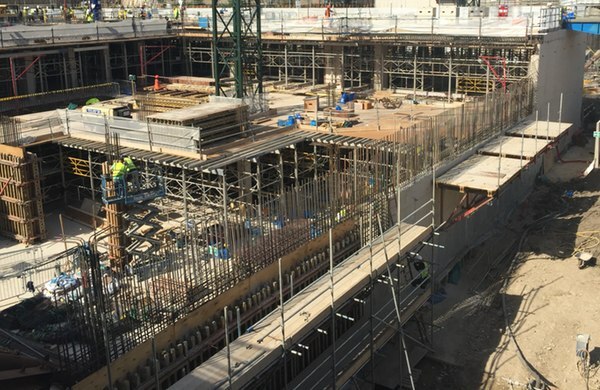 Enabling works design was required to allow the excavation of existing footpath and made ground, demolition of existing retaining wall and construction of new corbels, walls and transfer beam structures. 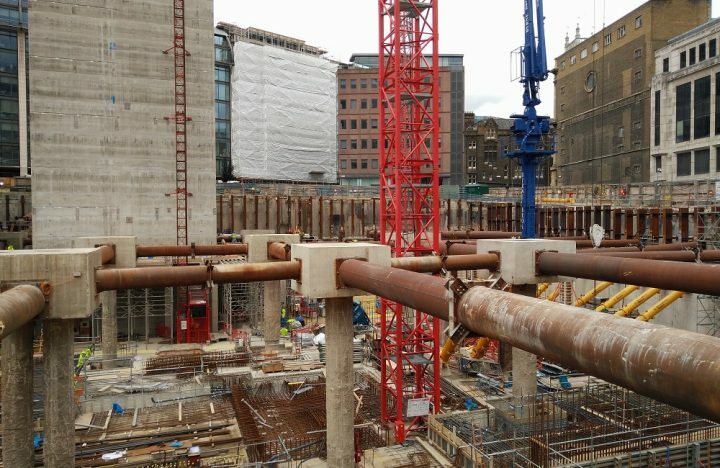 Depending on the specifics of each location within the site we have specified various temporary works solutions such as propped sheet piles or precast concrete caissons. Working closely with the contractor we have developed sequencing plans and 3D models to illustrate the design. Multiple site constraints exist such as the close proximity of busy roads and live services. 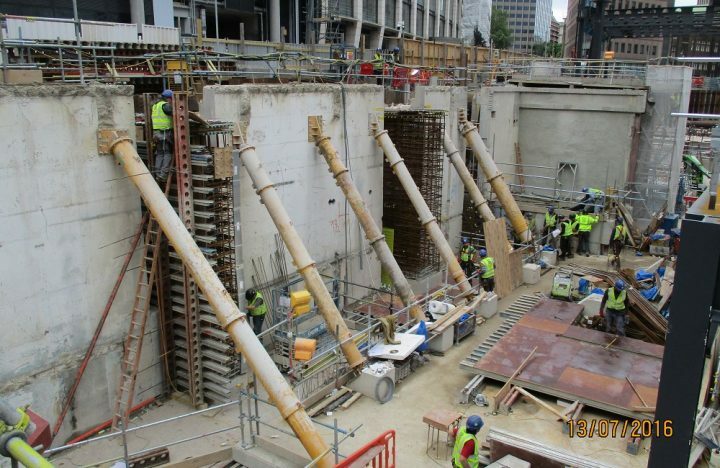 Proprietary propping systems were specified to reduce the required off-site fabrication and thus reduce delays to the programme.